Compared to lead/acid batteries, LiFePO4 lithium batteries have a very low self-discharge rate (four times lower). It is advisable to recharge the batteries every three months. In any case, the state of charge of the battery remains within acceptable levels up to 6/12 months. It is recommended to store BC LITHIUM BATTERIES in a cool, dry place. The batteries are delivered at 80% of their charge and at a voltage of about 13.2 Volts (see table "Estimated Remaining Capacity" below). Before installing the battery on the vehicle, it is highly recommended to fully charge it with a specific charger for LiFePO4 batteries. For a fast charge in shops/workshops we recommend BC LITHIUM 7000, while for private users we suggest to use BC LITHIUM 1500. The law provides that the batteries are disposed of at appropriate collection sites. BC LITHIUM BATTERIES adheres to COBAT (National Consortium for the Collection and Recycling of Batteries) and pays in compliance with the legal obligations a fixed fee for each Kg released into the environment. LIFEPO4 batteries have to be disposed of according to the same procedures already adopted for lead/acid batteries. Before to install the battery on board and then periodically thereafter, check the vehicle's charging system (alternator/regulator) and verify that the voltage does not exceed 15 Volts (a higher voltage may damage the battery cells). 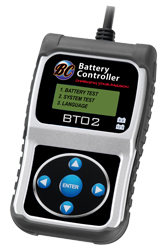 For the execution of this test, we recommend BT-02 Battery Tester, which allows to analyze the conditions and the cranking power of all 6/12V batteries and the correct operation of 12/24V charging systems. The charging system test may also be executed with BC LITHIUM 7000. Just like gel batteries and AGM batteries, BC Lithium Batteries can be mounted in any position. The lifespan of a battery depends on many factors, both environmental and related to its use. For chemical and structural reasons, it is possible to estimate for LiFePO4 BC LITHIUM BATTERIES a double lifespan (on average 2 to 4 years) vs lead/acid batteries. For proper maintenance, please follow the recommendations below. - As reported in the table (Estimated Remaining Capacity), it is of utmost importance that the battery always remains in a state of optimal charge, at a minimum voltage around 13.2/13.3 Volts (which is about 80/90% of its capacity). We recommend the usage of the battery charger/maintainer BC DUETTO or BC LITHIUM 1500 for private users or of the charging & testing station BC PRO 4S or the charger BC LITHIUM 7000 for a professional battery maintenance in workshops/shops. Without a battery maintenance with a proper device, the absorption of the electrical system of the vehicle can drain your battery quickly. - When you install the battery on board and then periodically thereafter, check the vehicle's charging system (alternator/regulator) and verify that the voltage does not exceed 15 Volts (a higher voltage may damage the battery cells). All the Batteries and Accessories BC Lithium Batteries are distributed by Forelettronica srl. 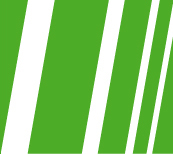 BC Lithium Batteries is a Registered Trademark.